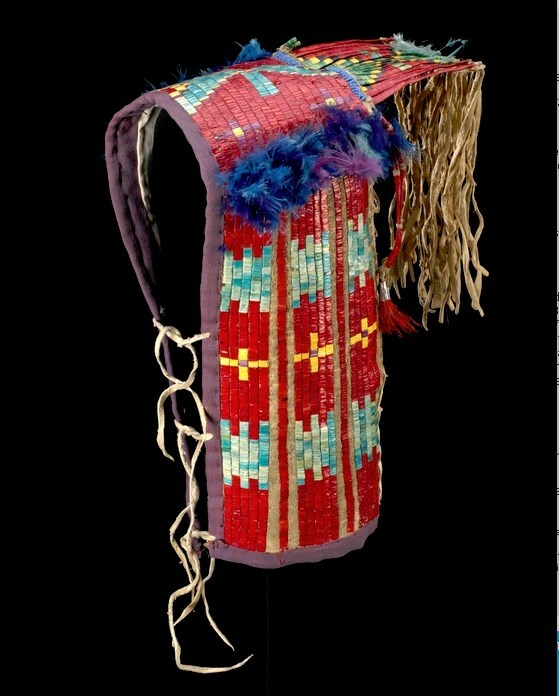 Focusing on Native cosmology and organized around one solar year, this exhibition explores the annual ceremonies of Native peoples as a window on their ancestral teachings. Under a "night sky" of fiber-optic stars and constellations, discover how celestial bodies shape the daily lives—and establish the calendars of ceremonies and celebrations—of Native peoples today. Featured communities: Mapuche (Chile), Lakota (South Dakota), Quechua (Peru), Yup'ik (Alaska), Q'eq'chi, Maya (Guatemala), Santa Clara Pueblo (New Mexico), Anishinaabe (Hollow Water, Manitoba, Canada), and Hupa (California). The exhibition also highlights the Denver (Colorado) March Powwow, the North American Indigenous Games, and the Day of the Dead—seasonal celebrations that bring Native peoples together.